I love books. Fictional books, nonfictional books, photo books, coffee table books, any shape and form, give me all the books. It has come to the point that if I don't read at night before bed, I can't fall asleep and don't stay asleep. 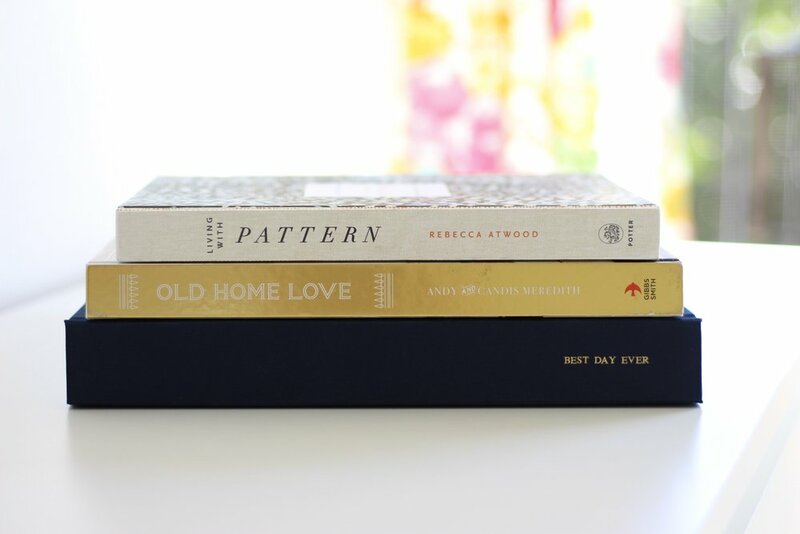 Since I know I am not the only person with a love affair for books, I figured I would share some of my recent coffee table purchases (hello Amazon brick-and-mortar bookstore!!) and a few of my all-time favorites reads. I use coffee table books like art, they are scattered all over our apartment and I stack anything and everything on top of them: frames, lamps, plants, trays, vases, speakers... they're basically tables in our house :) Some of my favorite decor/coffee table books are Domino, Beaches by Gray Malin (DIY tip: cut the pages out and frame them for some stunning wall art! ), Kate Spade Places To Go People to See, Styled by Emily Henderson, and Lauren Conrad Beauty (I know, embarrassing, but I still love her from my high school days). 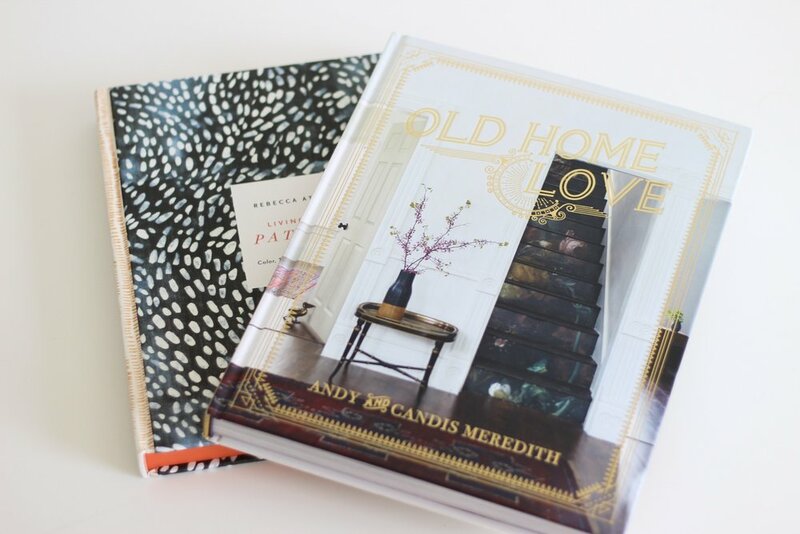 I just recently purchased Living With Pattern by Rebecca Atwood, Old Home Love by Candis and Andy Meredith (stunning before and afters!! ), and our wedding album from Artifact Uprising, and I can't wait to finish looking through them! My absolute favorite book genre is mystery but I'll take a good romance or comedy any day. Some of my all-time favorite series are Millennium by Steig Larrson and the Cormoran Strike Series by Robert Galbraith aka JK Rowling. It has been a while since I read a series that I just could not put down (my criteria for making the all-time fav list) but some of my favorite one-offs are Big Little Lies and The Husbands Secret by Liane Moriarty, Where'd You Go, Bernadette by Maria Semple, Crazy Rich Asians by Kevin Kwan (actually a series but the first is the best), The Kept Woman by Karin Slaughter, The Woman in Cabin 10 by Ruth Ware, The Couple Next Door by Shari Lapena, The Nightingale by Kristin Hannah, and White Girl Problems by Babe Walker. I almost exclusively use my Kindle, you just can't beat the convenience with my travel schedule and the back-light is key since I'm a night reader, but I'm always tempted when I go to the Amazon bookstore. What are your favorite books? I'm always needing suggestions! !